By Melissa Lennig on May 27, 2018 Leave a Comment. This content contains affiliate links. As an Amazon Associate I earn from qualifying purchases. 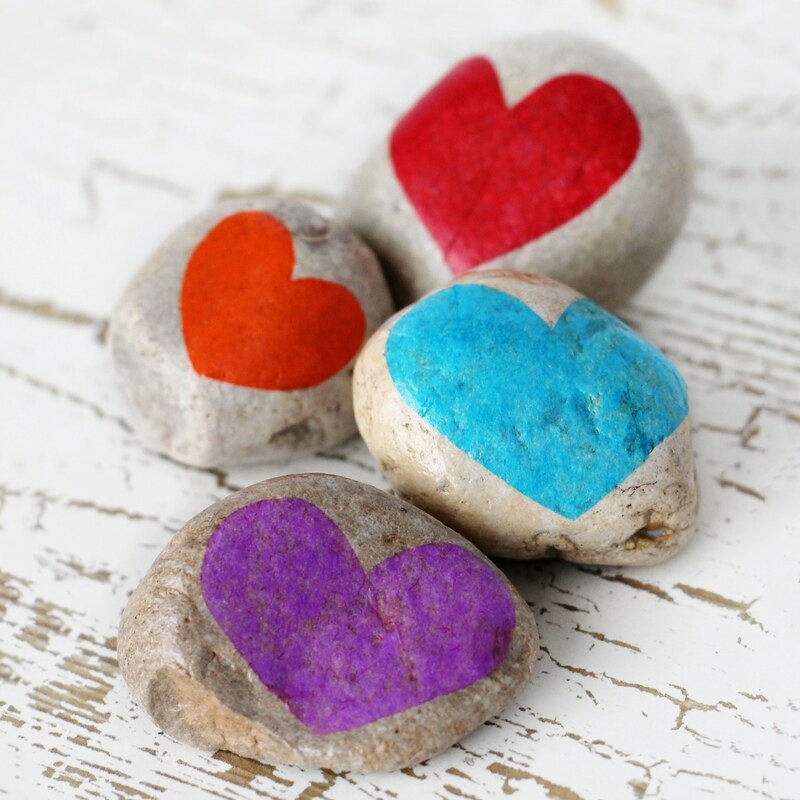 Inside: Do you love decorating rocks with your kids, but dread cleaning up the mess? 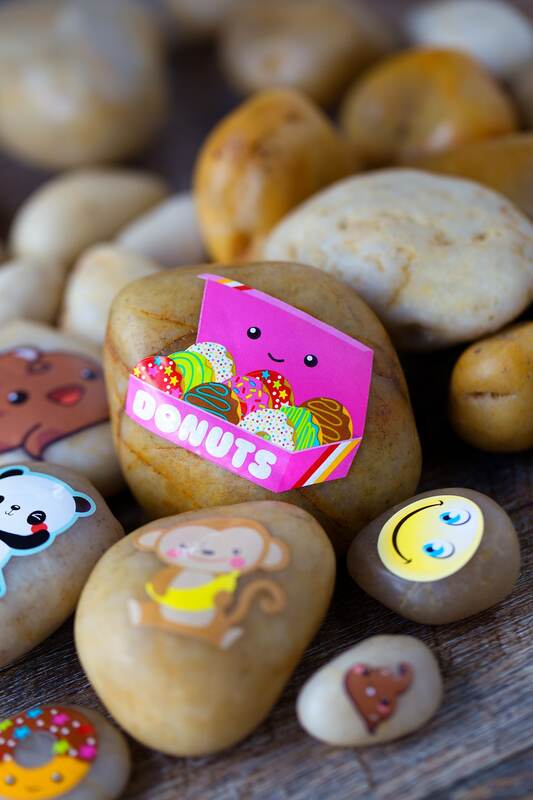 If so, these mess-free sticker rocks are for you! 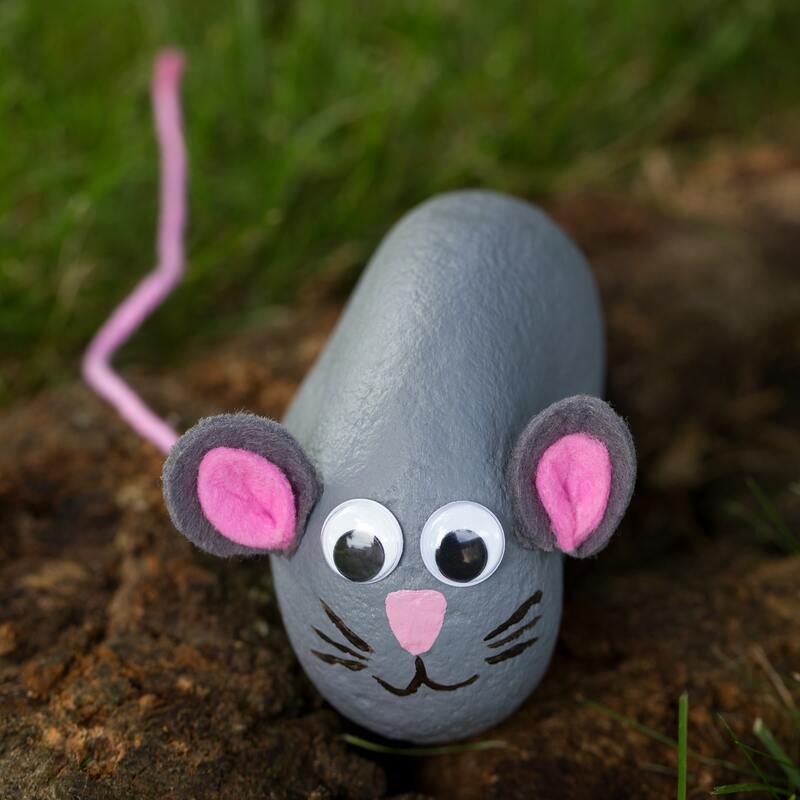 Rock hunting groups are rapidly gaining popularity in cities across the United States. Joining one via Facebook is a free and fun way to spend time with family while enjoying the outdoors. My kids especially enjoy decorating and hiding rocks for others to find, but I have to admit…I don’t always love hauling out the acrylic paints and cleaning up after a rock painting session. 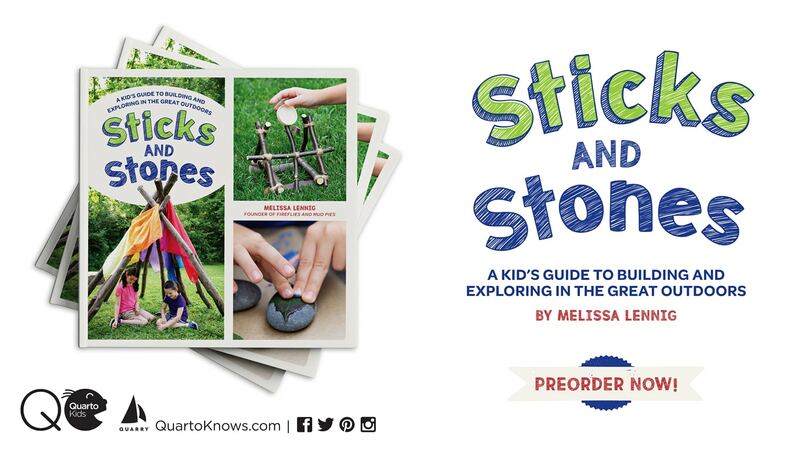 That’s why I’m so excited to share about these mess-free sticker rocks! Granted, it’s not completely mess-free because of the Mod Podge, but it’s a lot more mess-free than paint. Another perk? Mod Podge dries fast! My kids had many finished rocks in under an hour. 1. 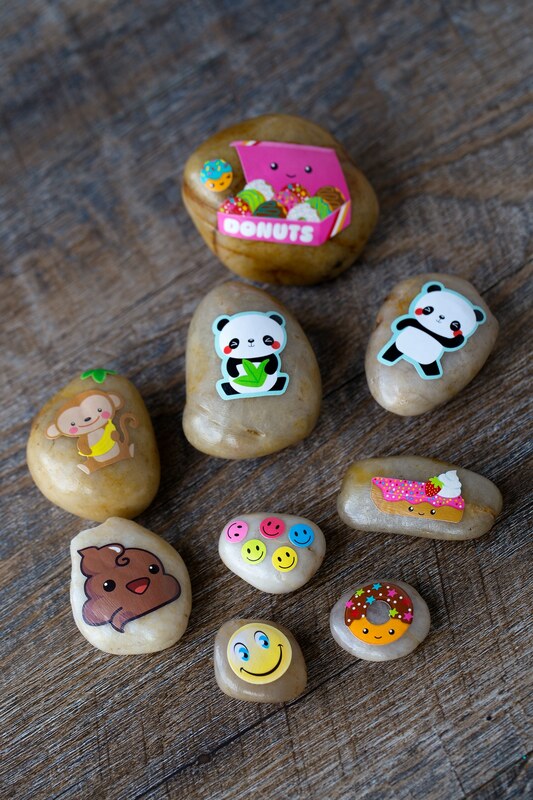 Invite kids to press silly paper stickers onto clean, smooth, and dry rocks. We found it best to press the sticker from the center to the edge for a smooth, wrinkle-free finish. 2. 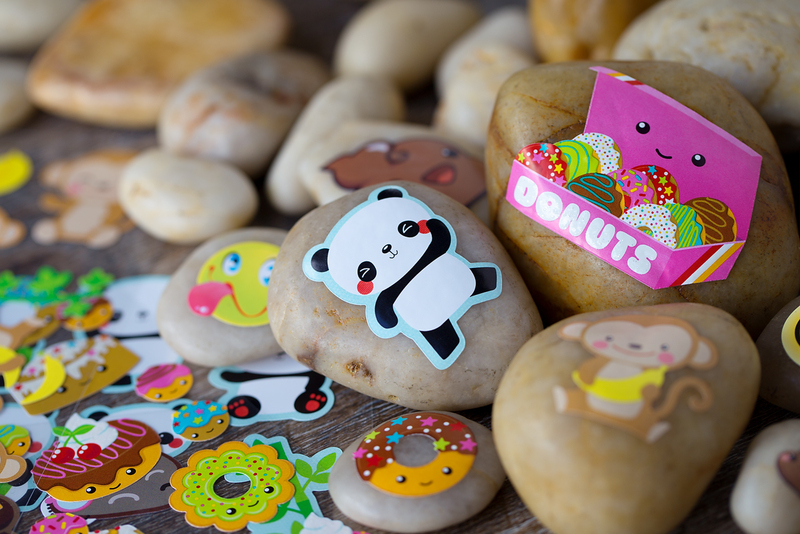 Craft stores and dollar stores are packed with colorful stickers for kids. Just pick your favorites! 3. Spread the rocks onto a parchment-lined cookie sheet. This will help contain any rocks that want to roll away, and parchment is a great non-stick surface for Mod Podge. 4. 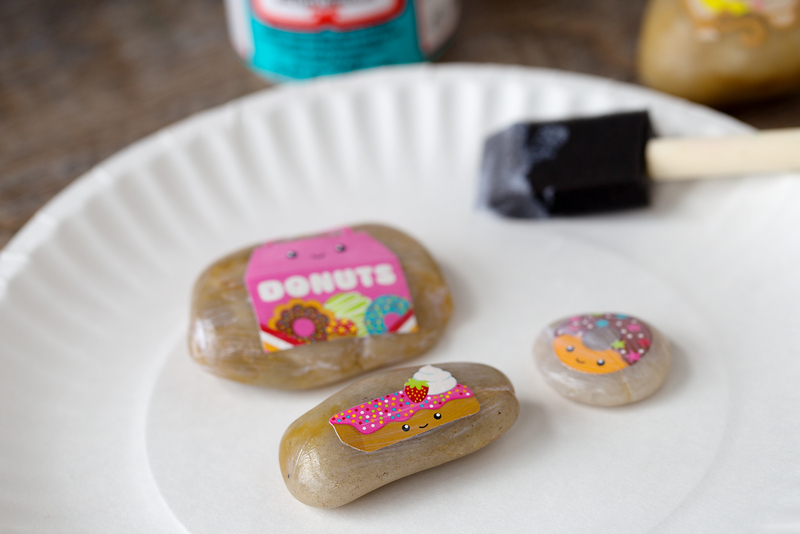 Invite your kids to spread Dishwasher Safe Mod Podge over the rocks, or take them outside to spray with clear acrylic spray. 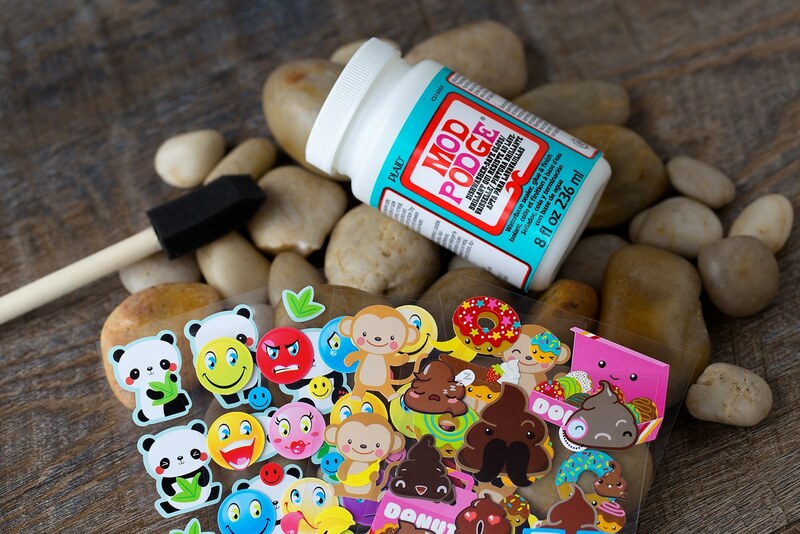 If you are using Mod Podge, be sure to spread it over the top of the rock first and allow it to dry completely before flipping the rock and coating the bottom. 5. 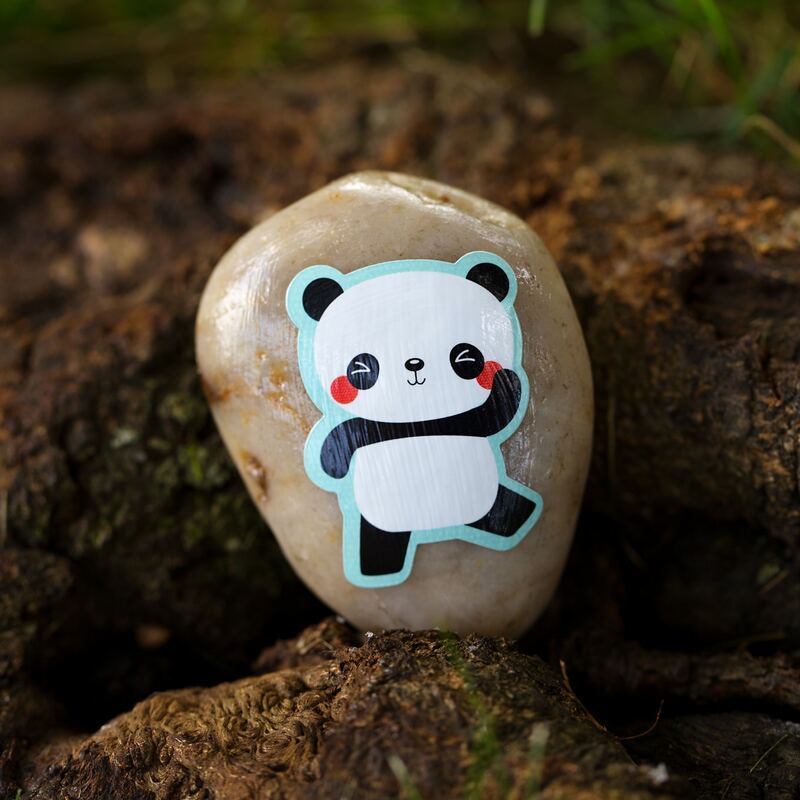 If desired, label the rock with the URL or hashtag of your city’s local rock hunting group and your family hashtag. 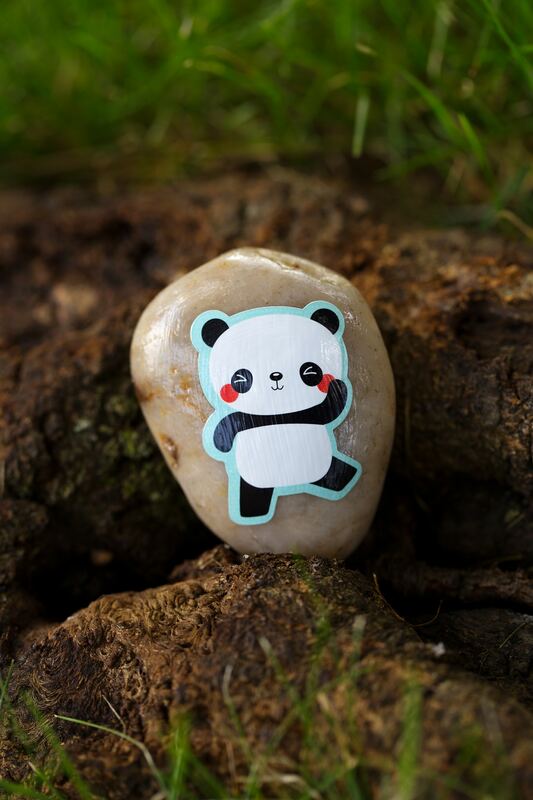 Some rock groups have “official” printable papers that kids can glue to the rocks, but we just write it on the rock with a black Sharpie marker. 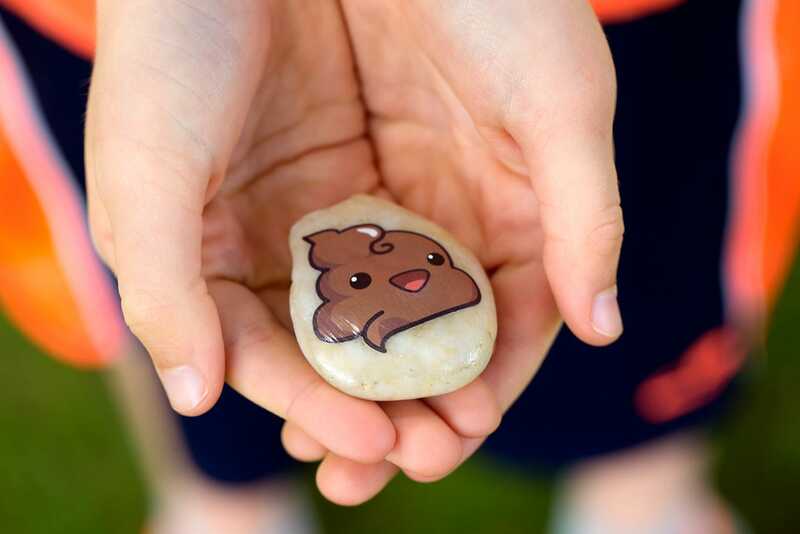 When your rocks are sealed and dry, hide them around your town. 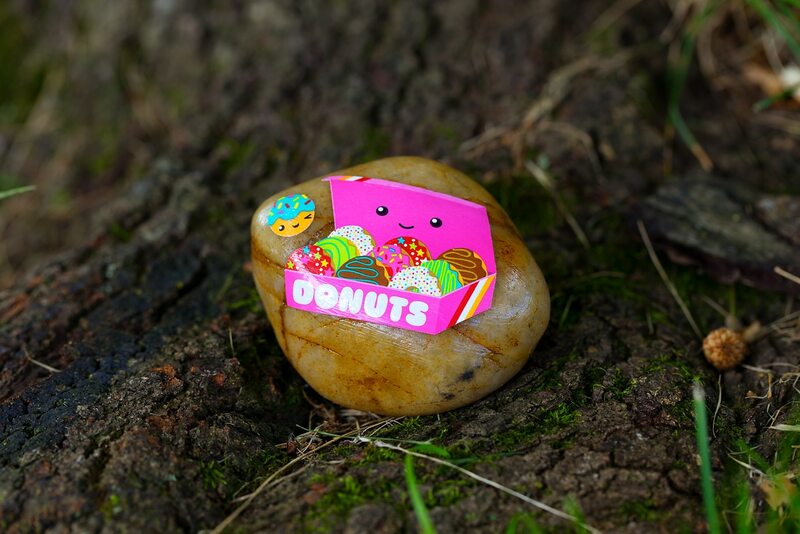 One time we even found a decorated rock in the checkout line at the grocery store! It was hidden in the aisle near the candy bars. 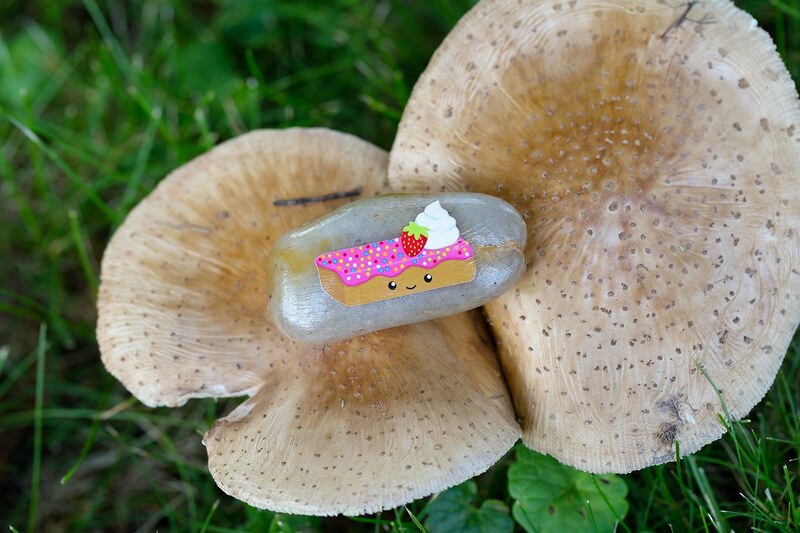 It’s fun to get creative with hiding rocks…like our little cake rock on the mushrooms. I hope someone finds it before the mushrooms disappear! 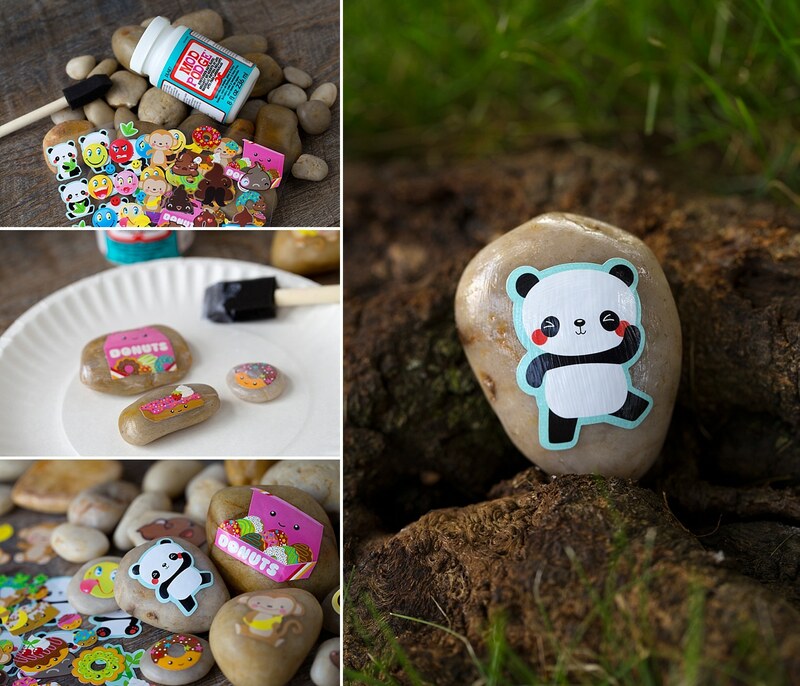 Click the images below to view more creative rock decorating ideas for kids!